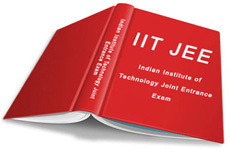 Links to various websites for Past Year Papers of IIT JEE with Solutions. Here is the list of top 100 engineering colleges in India which will give you an idea about the best engineering colleges in India. Home Tutor Networks : Tutors for any subject and any board (ICSE, IGCSE, IB, CBSE) starting from Nursery level to XII. Problems from H C Verma‘s Concepts of Physics is considered a must work out assignment by most of the IIT aspirants. Here you can find the solutions to the problems chapterwise. The downloads are based on the old edition of HC Verma’s Concepts of Physics. In case the book is revised, the answers and solutions may not match. Students will have to use your senses to find out. We cannot reproduce the questions for reasons known to all. The solutions can be downloaded in pdf format by clicking on the links below.